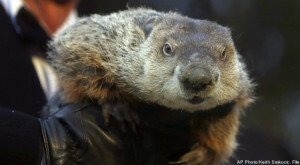 Happy Spring everyone, it’s 10 degrees Fahrenheit with boat-load of snow and I’m puttin’ a hit out for “Puttin the Punk in Punxsutawney Phil” Who’s with me? Over grown rat. I thought the world was coming together nicely, what with Dennis Rodman clearing things up with Mr. Short-Stuff in North Korea, and The Catholic Churches’ version of the NFL draft finding a new Offensive Coordinator and all. Check out our schedule, we will be at a new club for us in Chicago called Untitled on April 6!!! Look for the release of our music video we did recently for the song “Hell or Heaven” that we shot in a church featuring Dan Baird (Georgia Satellites) and Warner Hodges (Jason and the Scorchers) (no musicians were struck by lightning in the shooting of this video) Here’s a free download of the song!